Combined, we have over 40 years of experience working as professional interpreters and translators. We have gained valuable training and skills working in the areas of education, law, healthcare, and journalism. Through these experiences we have developed a deep understanding of the many components that are necessary for effective cross cultural communication. Our Mission StatementWe put connection first. At Maine Language Connect, we are dedicated to making qualified, trained interpreters and translators available to our clients while ensuring a fair compensation for the professionals who work with us. MLC will also continue to budget for professional development and technological innovation to enhance skill level and deliver quality service for clients. Launched in March 2018, Maine Language Connect (MLC) currently offers interpretation and translation services in the five most requested languages in Maine: Somali, Arabic, French, Spanish and Portuguese. MLC will continue to plan for growth in adding other language services. As I psychologist, working with many “New Mainers”, I need and rely on interpreters to be able to help my clients. Ali is one of the best. He brings professionalism and integrity to the workplace with all the people he interprets for. What he also brings to the table is a sincere caring for his clients and a wonderful sense of humor that puts clients at ease. My clients and I trust Ali. He is honest, intelligent, and he is also knowledgeable of American customs, government and laws that he can put discussions and translations in the proper context. Ali would be my “go to guy” when I need an interpreter. It is a pleasure to work with him. Maine Language Connect is the lifeline of my work with refugee clients. They provide exceptional interpretation services which allow clients to begin the healing process during outpatient therapy. Our work and their lives would not be the same without MLC. The American Civil Liberties Union of Maine (ACLU of Maine) worked with Ali Al Mshakheel to translate a script about voting rights into Arabic, and to speak the lines in a short video. He was wonderful to work with - quick, accurate, and dependable! We would gladly work with him again. 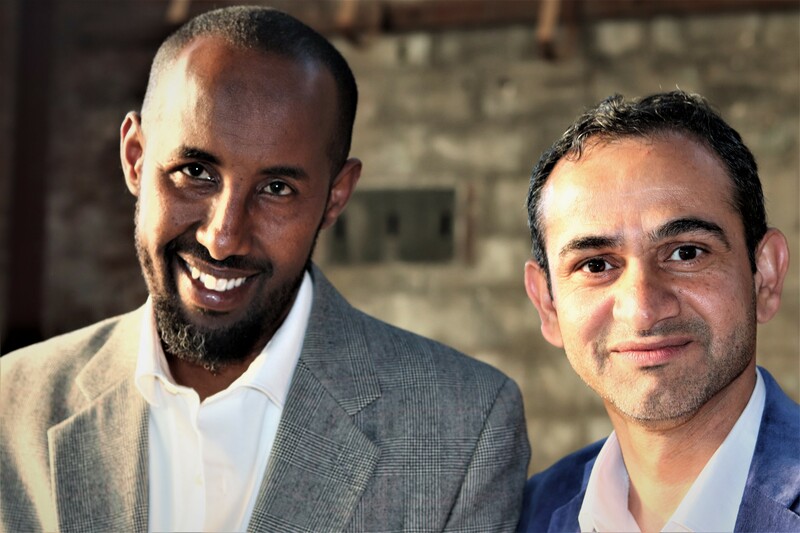 I have had the privilege of working with Mahmoud Hassan, over the past ten years, where he has served as an exemplary interpreter for the families of Portland Public Schools. Mr. Hassan is a skilled linguist with outstanding written and verbal communication skills, a strong cultural understanding of the languages he interprets for and the ability to connect with a wide range of people. Mahmoud is an empathetic listener.He interprets situations that can be sensitive for non-native speakers, to make the experience as comfortable as possible. Mahmoud has a strong grasp on cultural norms and does an excellent job conveying what a non-native speaker is trying to communicate. Mr. Hassan’s services, as a cultural broker, have contributed to building positive and trusting relationships, with families and school staff, while ensuring that students have access to services that yield strong scholars and citizens, within and beyond the school community. Mr. Hassan is an asset to any organization and community.